Redtail Paddle CompanyRecord Owner? Log in. One piece Redtail paddles 'Signature Series'. Each paddle is painstakingly handcrafted from top quality wood that has been carefully selected from area mills. Each paddle is cut from these boards and crafted with an open belt sander. Each paddle is truly a work of art. We offer bird's eye maple, black walnut, black cherry, ash, sugar maple and aspen. Custom laminated hardwood paddles with an ash shaft for maximum strength. 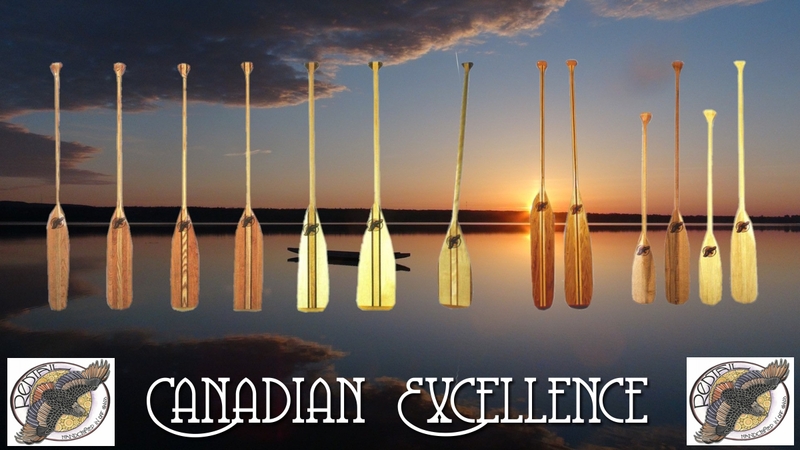 We also offer canoe yolks, silk-screening, laser wood burning, 14 inch souvenir paddles and a selection of paddle holders. Come to Allan Mills and hand-pick a one-of-a-kind paddle, customized as a gift or ready to hit the water this weekend! 30% off second grade paddles with minor imperfections...over 300 to choose from. Have something to say about Redtail Paddle Company?